You’ve decided you need a new work vehicle. So you ask yourself, should I buy a pickup truck or cargo van? The easy answer is, whatever works best for you as it depends on the type of work you do. But we know that isn’t the answer you want, so we have done our best to do an unbiased comparison and advise in which circumstances you should choose one over the other. The manliness, of course. Let’s be honest they do look much better. Covered Cargo Area is lacking – you can add a canopy which often limits your cargo space and isn’t 100% waterproof anyways or you can invest in Full Size Truck Cap. This is often a good long-term choice when requiring the benefits of a truck but does require an upfront investment. Covered Stand Up Cargo Area. This is big and can be beneficial in many ways including equipment security, equipment protection from weather. Limited Driver Visibility – Back up Camera’s and other technology do assist in this. To whom would we recommend a Pickup Truck? You are required to carry several passengers. Your work takes you to rural or off road areas. We often see those in telecommunications, Fiber Optic Splicing, heavy machinery service work, natural resources, or those who work in extreme weather conditions (anywhere in Canada except BC in the winter months). For those in extreme weather conditions we often see the addition of a Truck Cap for protection from the elements. To whom would we recommend a Cargo Van? Those carrying a lot of valuable tools and equipment. It’s obviously imperative that you keep this secure from theft and safe from the weather. Most of those in the common trades including Electricians, Plumbers, HVAC Technicians, and Couriers. 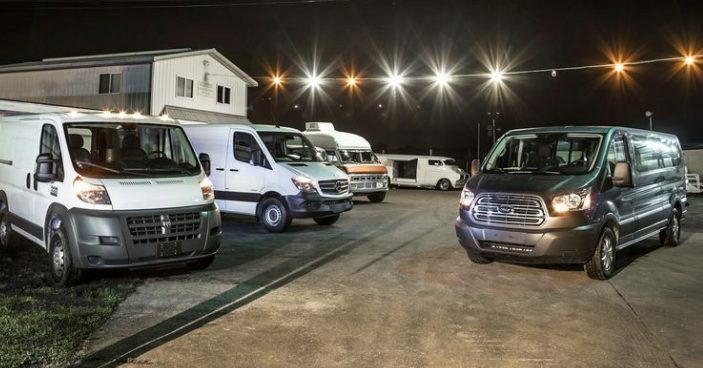 The final decision on whether a pickup truck or cargo van is best for you is totally dependent on what your circumstances and requirements are. We trust that this assessment has added some value to your decision making process. My husband’s work is looking for a cargo van and you make a great point that a cargo van provides a covered area so that all of the items you are moving will be protected from weather issues. This is a huge benefit that I will share with my husband. Also, the fact that it provides safety because the back and side doors are lower and it is easier to move items than from a pickup truck is a huge benefit because it can save time.